Men’s hair loss in Lane Cove on the North Shore – Do you suffer hair loss? Millions of people suffer from thinning hair and experts say they may be more deeply affected by it psychologically. 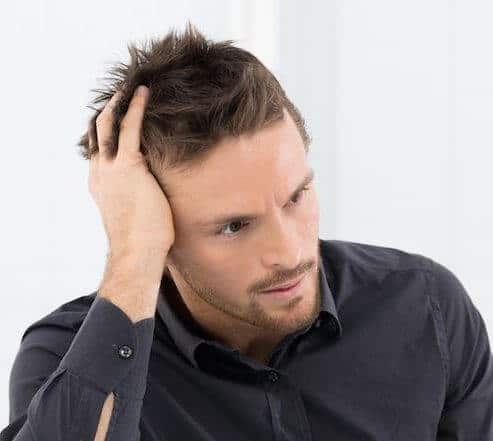 There are many reasons why might be experiencing hair loss; for example for example hereditary male and female pattern hair loss, stress, medications, hormonal imbalance, nutrient deficiency, as well as a range of other less common causes. Our medical hair clinic is situated 2/85 Longueville Rd, Lane Cove Sydney and provides Australia’s best hair loss solutions to residents of Sydney and surrounds. It offers a personal skin care service performed by highly skilled anti-ageing professionals. Known for our exclusive beauty treatments and impeccable service. Did you know that some fruits, vegetables and herbs actually act as DHT blockers!! They actually work to inhibit the conversion of testosterone into dihydrotestosteron. Head massage is one of the most important ritual for healthy hair and scalp. It improves blood circulation and drains away toxins from the scalp. It restores, renews and repairs hair, removing split ends and leaving hair frizz free. Argan oil protects against damage from chemicals, harsh environment and heat. Usually after shampooing, follow up with herbal infusions. It is the perfect way to nourish and condition your hair. As easy as this task may seem, many people wash their hair incorrectly. a wrong way to wash your hair, and doing so can take those strands from silky and shiny to totally lackluster. If you have long hair, condition first. Add conditioner from the mid-lengths to the tips. Finish with a cold water rinse. Wound Healing; improves texture and skin tone; stimulation of collagen; decrease the risk of bruising; increase skin natural hydration. For about 10 minutes every day, stimulates hair growth and makes your hair healthy and strong. If you wear tight styles every day, hair may stop growing permanently from areas it is pulled most from, causing a bald patch. Supply of vitamins and minerals – such as vitamin C, vitamin A, vitamin E, iron, calcium, biotin, zinc – to grow healthy and strong. Come in to Xara Skin Clinic ™ in Lane Cove on the North Shore. Talk to us today about starting your natural hair regrowth treatment today. For an all over whole body experience come and see us in Lane Cove on the North Shore. Come and relax in our opulent ambiance, welcoming staff, the scent of essential oils, calming music, the soft cool breeze. For world class, exclusive treatments and products, we are the beauty and skin care experts in Lane Cove on the North Shore.